Turning 40 is a BIG deal! 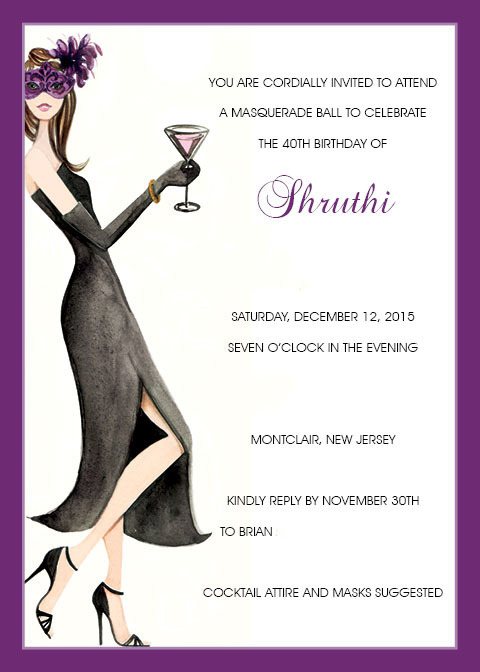 For our sister Shruthi’s 40th, we wanted to plan an extra special party to welcome her into the new decade. She requested a SIMPLE but ELEGANT theme. 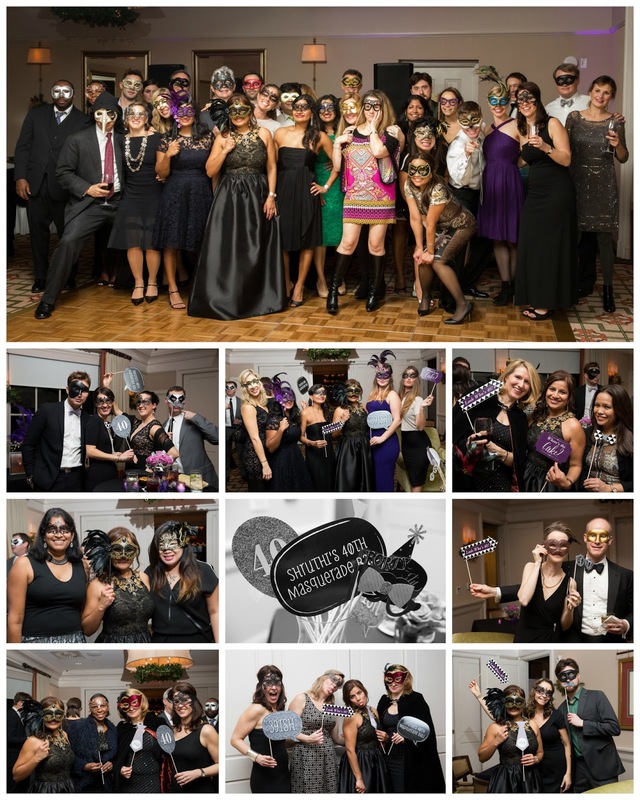 After several weeks of brainstorming, we decided on a MASQUERADE BALL. Historically, masquerade balls were extravagant gala events hosted by European aristocrats and royalty. Who wouldn’t want to feel like royalty at their birthday party? For milestone birthdays, we recommend mailing invitations. We LOVE Bonnie Marcus’ fashionable paper. 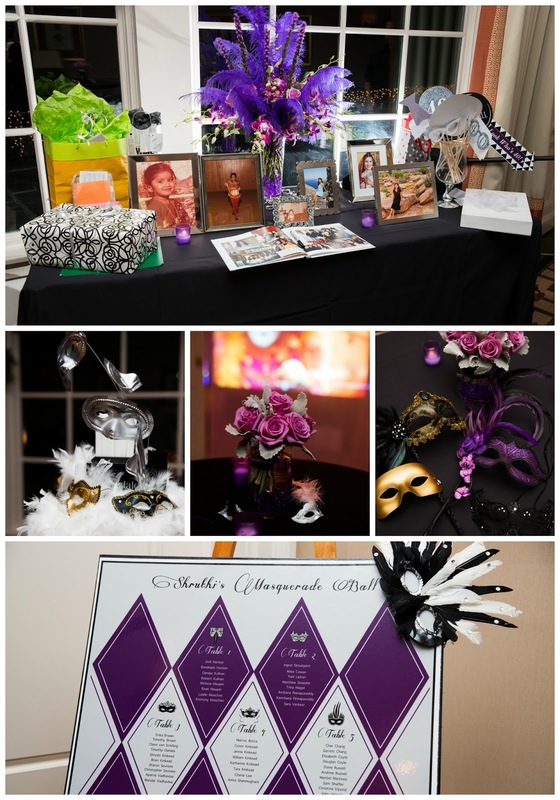 We used her masquerade invitations– they fit Shruthi’s chic style and our theme PERFECTLY. This invitation even inspired our plum, black and silver color palette for the party. 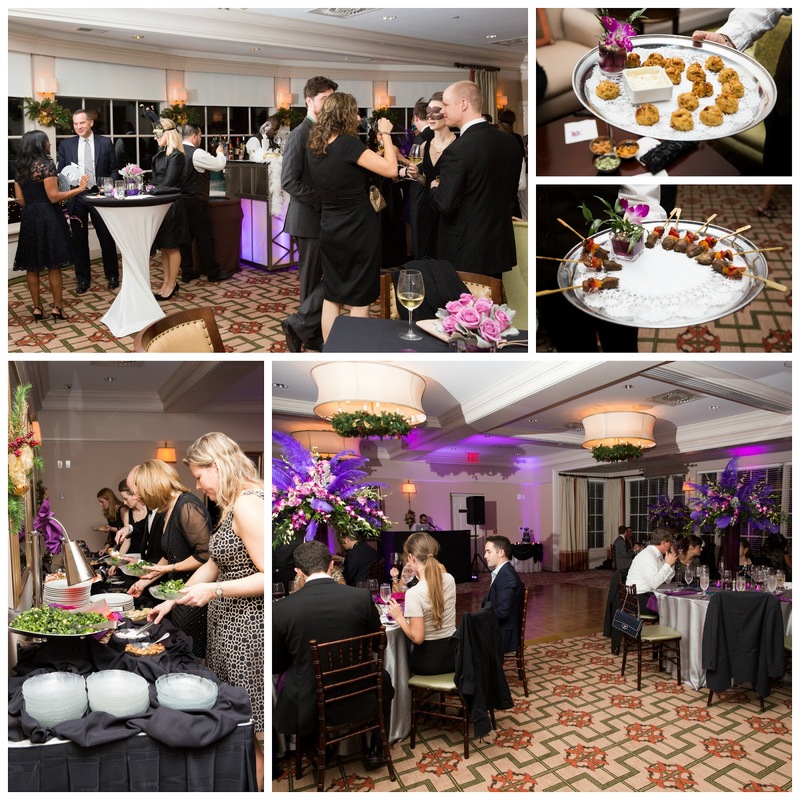 We hosted the masquerade ball at our sister’s country club in West Orange. We wanted to get every detail RIGHT for the party. Since the club did not carry linens that matched our color scheme, we went to A Party Center in Fairfield for our textured silver table cloths and plum napkins. Kanchana created a whimsical 18×24 inch masquerade seating chart featuring a plum and silver harlequin pattern. We designated each table with a different mask illustration instead of the traditional table numbers or names. For favors, we ordered milk and dark chocolate Venetian masks in silver and plum from Candy Cottage. We placed these chocolate masks at each table setting. We wanted all the decorations to be ELEGANT for a regal ball. 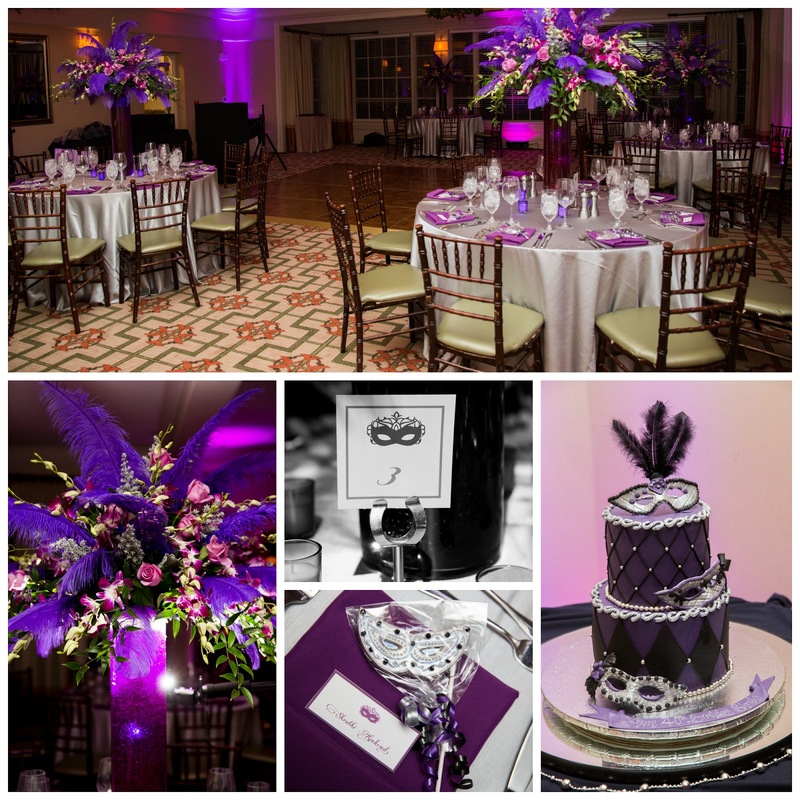 Bartlett’s Greenhouses & Florist created our STUNNING table arrangements with lilac roses, purple orchids and violet ostrich feathers in cylinders filled with purple gems and LED lights. Bright purple votive candles surrounded each arrangement. The welcome table featured several pictures of Shruthi from childhood to adulthood, a guest signing book and another beautiful floral arrangement. The cocktail tables were adorned with simpler lilac rose bouquets and miniature silver and black Venetian masks. 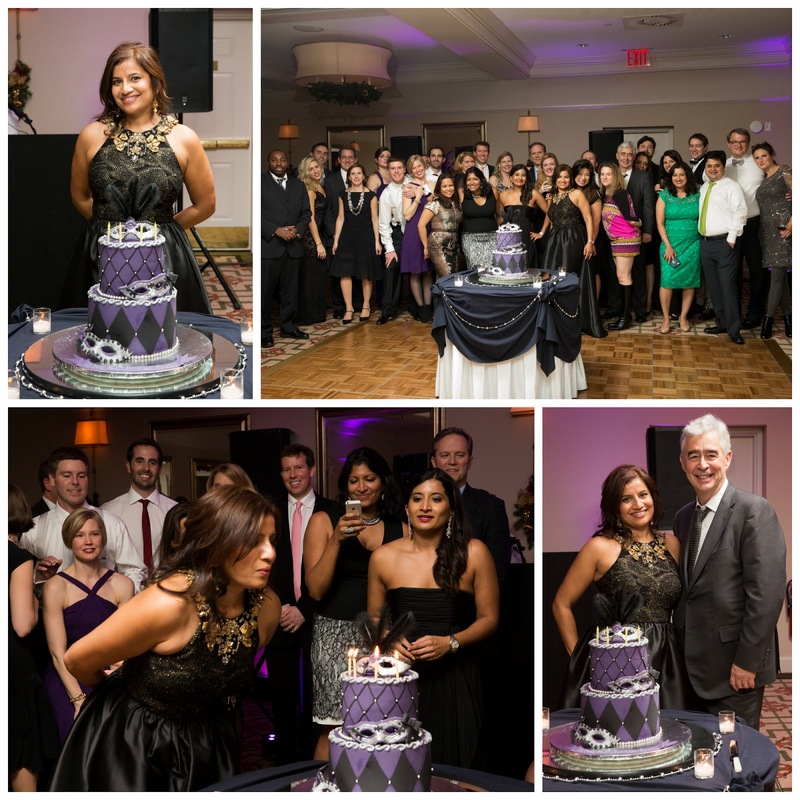 Mother Mousse created our GORGEOUS 2 tier cake topped with 3 BEAUTIFUL fondant Venetian masks. Trust us, this vanilla cake with white and chocolate mousse was DELICIOUS. We were disappointed that we didn’t have much leftover cake to enjoy the next day! 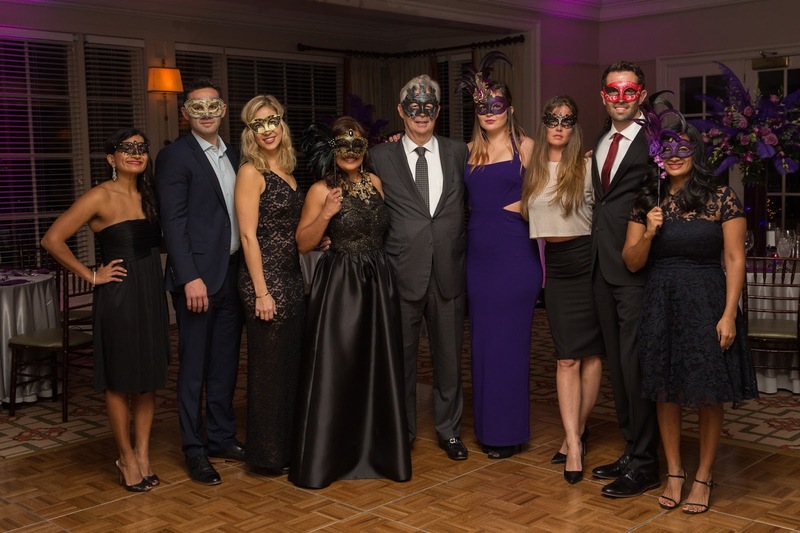 Guests were asked to wear a mask – this is the most IMPORTANT part of a masquerade ball! 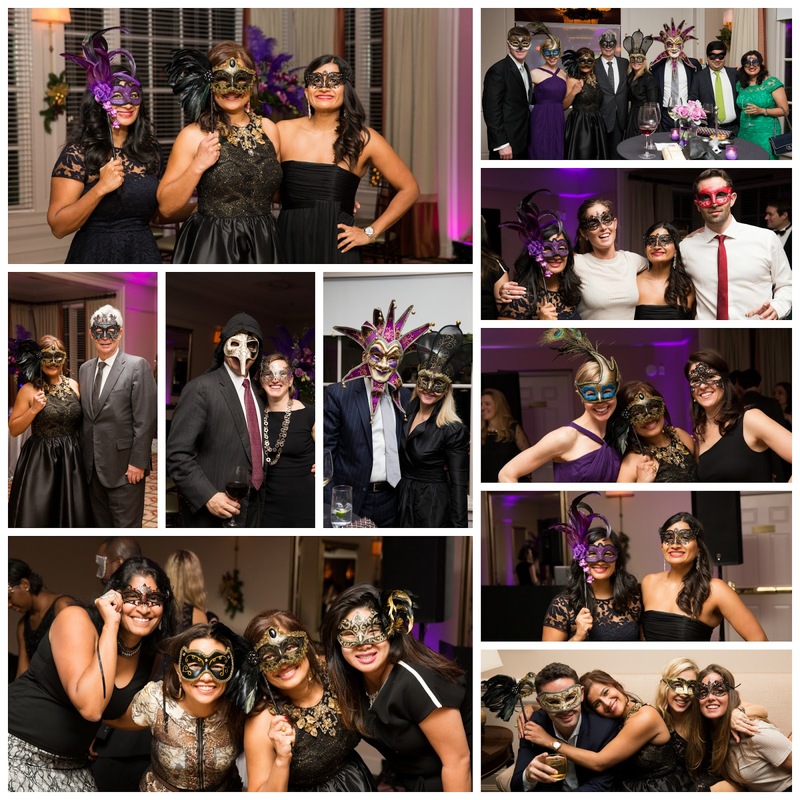 We recommend having some extra masks for the guests that forgot or misplaced one. Etsy is a excellent place to find Venetian masks. Doesn’t everyone look FANTASTIC? Family and close friends shared a few fun stories about the birthday girl. 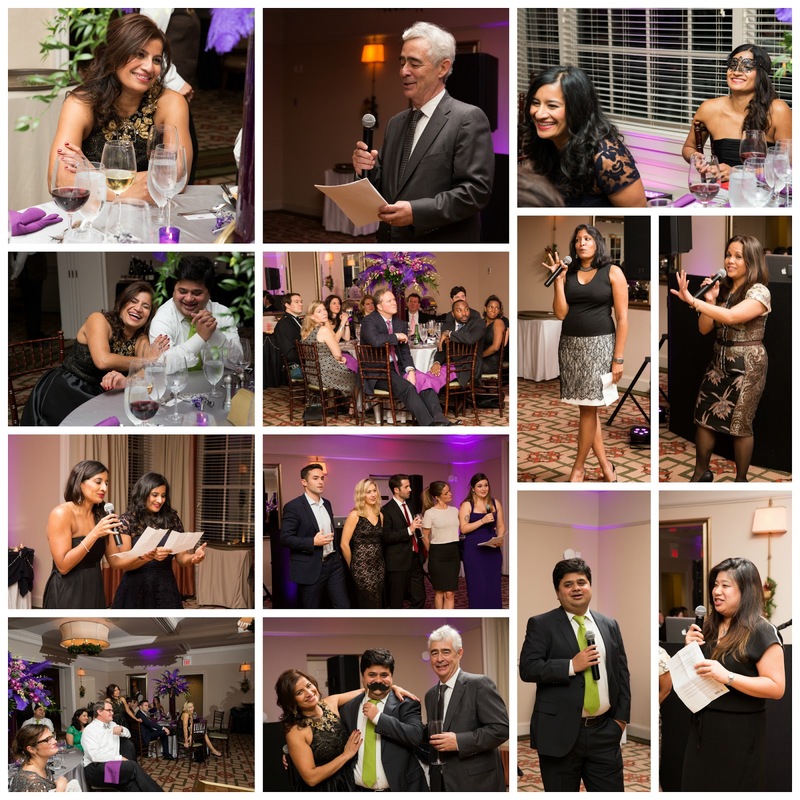 Remember to keep speeches SHORT and FUNNY! We had a lot of great laughs from her husband, friends and sisters. Our photographer, Jess, photographed the guests holding our whimsical 40th birthday Photo Booth props from a Big Dot of Happiness. Guests danced all night to DJ Zap Music Happy Birthday Shruthi and cheers to a wonderful year ahead!